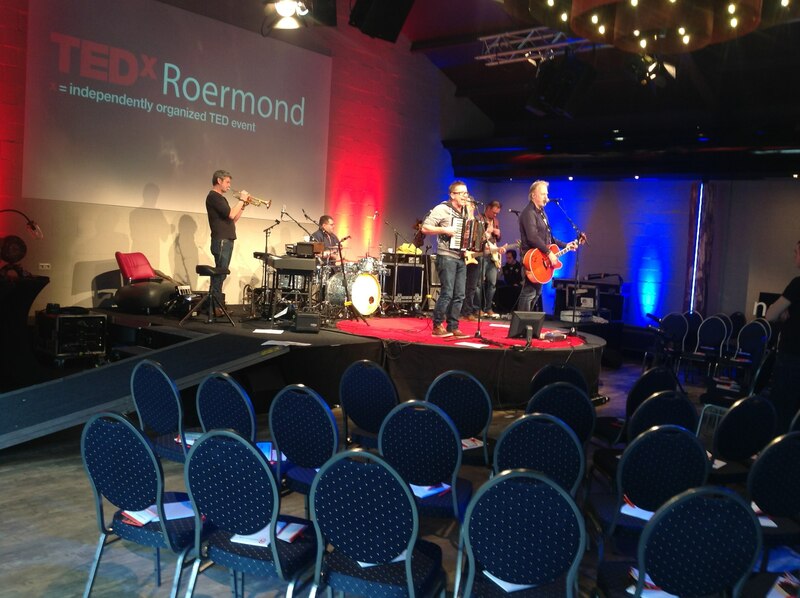 This page is dedicated to live mind maps created at TEDxRoermond, the 8th of March 2013. 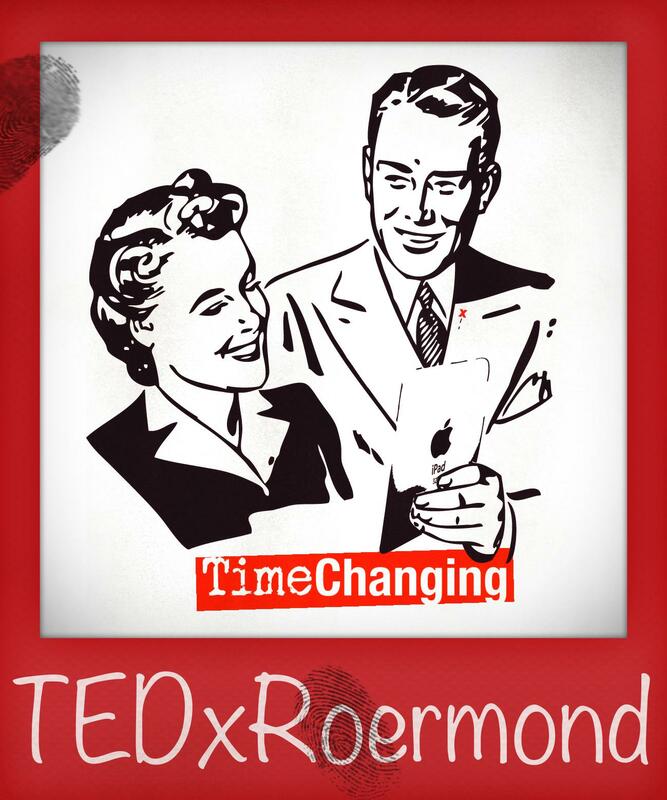 This ia arguably one of the best TED talks at TEDxRoermond. It has a surprising stage choice (the speaker with his son), a good story line and a sweet and tender end (the hug). I used the live mind map adding afterwards a new central image (because of the hug), added the response of his son on twitter and changed the words on the subbranches Freedom into pictures. Talking to Frans after his talk about response and responsibility I also added the latin source of the two words. For a mind mapper a dialogue can be difficult to mind map. I used the live mind map, but changed the way I mapped the dialogue. This is the live mind map I made at TEDxRoermond, added QR codes afterwards (for mind mappers, due to laptop problems made this one on the iPad and exported it through opml to iMindmap. It needed some rearranging after the export). it made me think. Are we doing that enough? Recycling expertise? I wonder. Interesting talk. Using energy and fantasy as oxygen to dive – under water – into change, had two versions of this mind map, but decided to use the original live mind map. Central picture was made at TEDx using the iPad’s camera and drawings using Sketch Rolls. Of all the 20 live mind maps I made, three failed. This was one of them. I was not happy with the outcome. I completely reworked the live mind map. I reshuffled the story line completely from the original live mind map made. On the day the Dutch newspaper NRC headline is “Facebook guided youngsters to Haren, Danny Mekić argues that it is ridiculous to call the riots in Haren “the Facebook riots”. One of the interesting talks at TEDxRoermond. Interesting talk, but I certainly would have like to hear more about how to run a € 20 million company with no personnel at all. Exact reproduction of the mind map made at TEDxRoermond, no additions afterwards. Youngest speaker Marieke Peters, inspired by teacher Theo Wisman, is now trying to inspire others with her YouTube videos. This is the exact live mind map I made, added tweets (Marieke made an appeal to the audience to share bucket lists on Twitter) later as well as QR codes. This is the exact mind map made live, was not entirely satisfied with the result, but decided to leave it as it is. Host Petra Stienen said it accurately: “I know after this talk, you’ll go home and say I shouldn’t sweat the small stuff.” View the mind map to learn about Gwen’s victory over dramatic events in her life. “Respect”, I thought while making the mind map during her talk. When I was making this mind map live, I had two associations. The first one was the Bob Dylan | Eric Clapton song with the line “You speak to me in sign language“, the second would it be possible that mind mapping sort of using the same syntax as sign language? Have to ask Dennis one time. I wrote somewhere on this page that out of 20 mind maps made, three failed. This was the second one. I think Carel’s talk was densely packed with information (which is as such not a problem for a mind mapper because a mind map can contain as much information as you want) but I did not see the connections to the subject of the talk (and that is a problem for a mind mapper in trying to order information). A mind map works because of ordering (1) and filtering redundant information out (2). So from the original live mind map made I filtered information out in three subsequent rounds. The third and last I posted here. In the end, after having mapped 20 talks, fatigue was setting in. Whereas I am convinced I have mapped more than 90 % of all the talks, I think it is probably around 60-70 % in the case of the TED talk by former prime minister of Belgium Mark Eyskens. I decided to leave it as it was live mind mapped. Hans, this is a fantastic set of maps, and you have captured a huge amount of fascinating information! A great example of what can be done with mind mapping software when it is controlled by a real expert. 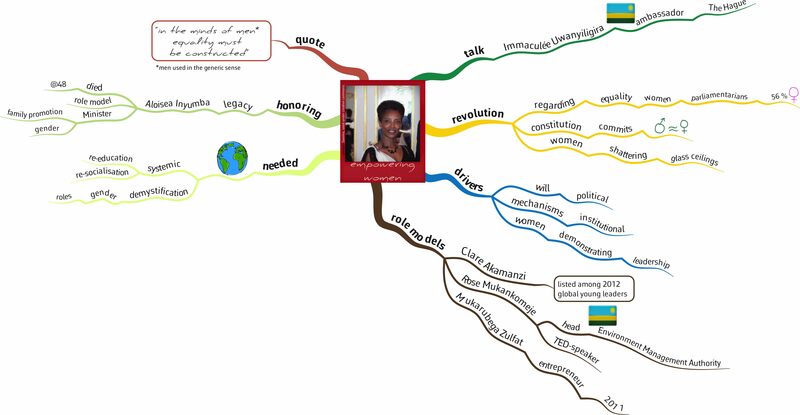 Congratulations on another excellent contribution to the development of mind mapping! It’s hard to even capture how important and skilled the mind mapping work is. FANTASTIC, TERRIFIC, CREATIVE, PATH-SETTING, A+++++, EXCELLENT PLUS. SUPERLATIVE.